​Just like that, there's a MONSTER change coming in Green Bay. Packers fans have been calling for Mike McCarthy to be fired since the start of the season (or for far longer than that). Currently at 4-7-1 on the year, there's no denying it's been a nightmare for the former NFC powerhouse in 2018. Now, fans have gotten their wish. Moments ago, the Packers announced they have fired McCarthy. His time with the Packers is officially done. ​​Sunday was the last straw for Packers GM Brian Gutekunst. Green Bay, a monster favorite heading into the weekend, suffered a brutal 20-17 loss to the Cardinals at Lambeau, left with a feckless FG attempt for the tie. It all but sealed McCarthy's fate with the team. 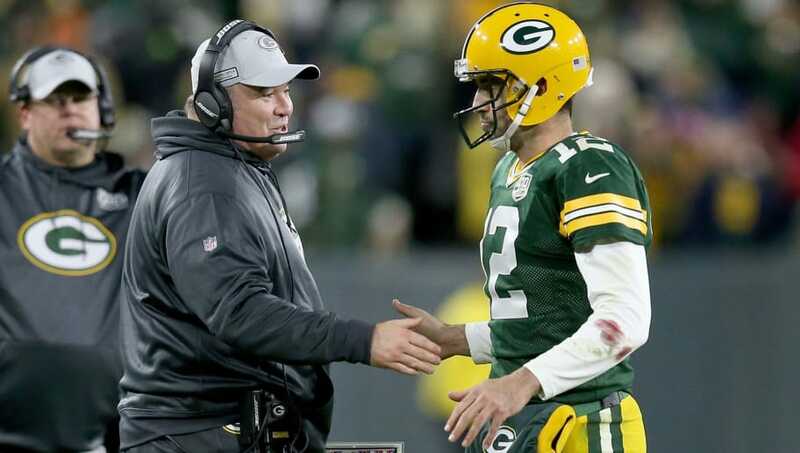 The head coach since 2006, McCarthy recorded 125 wins and 76 losses with the Packers. Fans of course won't forget the memorable 2010 campaign, which resulted in a Super Bowl victory. Ever since then, though, things have gone downhill for the squad. After posting back-to-back 10-6 records in 2015 and 2016, Green Bay finished a disappointing 7-9 last year. Aaron Rodgers' broken collarbone played a monumental role in that, but for the team to be 4-7-1 this late into the season is unacceptable. Nine playoff appearances in 13 seasons. Not enough finishing in there, though. Green Bay agreed, moving on from the 55-year-old coach. Joe Philbin will serve as the interim HC, but once the season wraps up, expect the Packers to go after a big-name guy to take over.